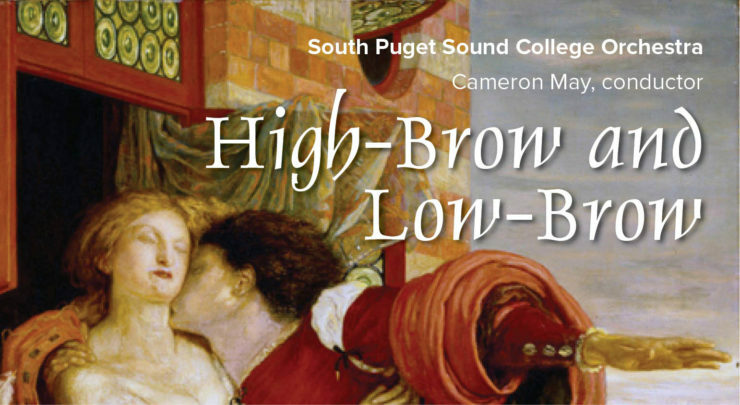 Music from all classes of society is featured on this concert by the South Puget Sound College Orchestra. The concert opens with Tchaikovsky’s Romeo and Juliet Fantasy Overture and a charming little piece by Steven Bryant, simply titled Dusk. After intermission, Seattle-based cellist Ryan Farris joins the orchestra for the second of Haydn’s cello concertos. The concert closes with Saint-Saens’ raucous “Danse Bacchanale” from Samson and Delilah. The orchestra is conducted by Cameron May. The featured guest cellist is Ryan Farris. Join us on Saturday, March 16, 2019, at 7:30 p.m. at the Kenneth J. Minnaert Center for the Arts Main Stage. Senior, Military, Youth, and Student discounts available.